Melbourne-based, publicly listed supplier of biohybrid and compostable resins Cardia Bioplastics has announced a proposed merger with Stellar Films Group to form a leader in sustainable packaging with annual sales of almost A$30 million. 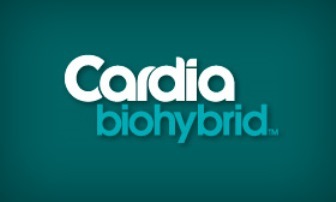 The proposed merger – subject to shareholder and regulatory approval – will see Cardia Bioplastics acquire all of the shares and units issued in Stellar Films and issue ordinary shares in Cardia Bioplastics to the owners of Stellar Films. Following completion of the proposed merger, it is currently anticipated that Cardia shareholders will own 42% of the merged group and the owners of Stellar Films will own 58% of the merged group. Stellar Films is a privately held global manufacturer of high quality cast films to the personal care, hygiene and medical product industries with manufacturing facilities in Melbourne and Port Klang, Malaysia. Cardia Bioplastics, develops, manufactures and markets its patented renewable resource-based materials and finished products, for the global packaging and plastic products industries. It was established in 2002 and holds a strong patent portfolio and growth fuelled by the global trend towards sustainable packaging. According to Bioplastics Magazine, the two companies have already collaborated on the production of environmentally friendly Biohybrid films tailored for the global personal care and hygiene products industry. The Cardia Bioplastics Board said a merger with Stellar will complement and strengthen the company’s business in its product offering, market position and global reach. “The combined business has the scale and resources to deliver the successful implementation of our profitable business growth strategy in our carrier bags, films & packaging, and waste management target market segments,” said Cardia Bioplastics Chairman Richard Tegoni. Cardia’s Managing Director, Frank Glatz, said the shareholder approval will be granted at an extraordinary general meeting, which he expects to occur in late January. According to Plastics News, both companies are conducting due diligence before a deal is finalised.